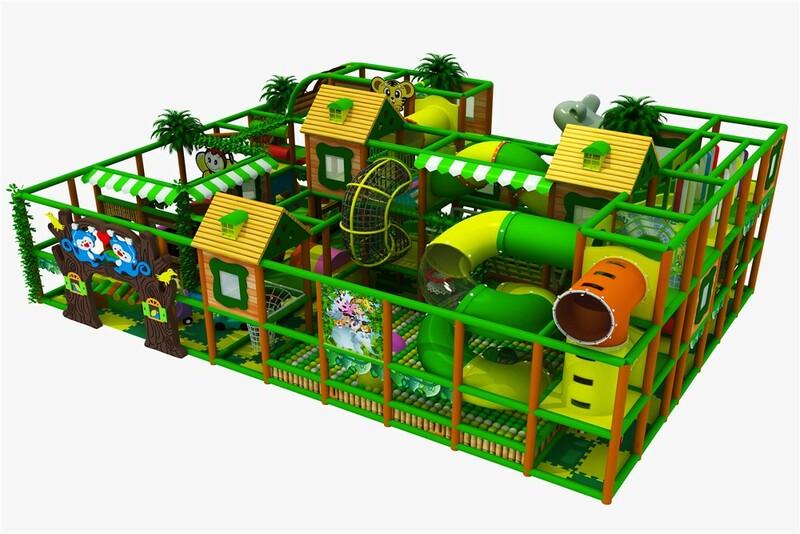 Today there are many kinds of theme of indoor playground. But many people don't konw which is the most popular for kids and which is the best the kids will like. Today I will help you to solve the problem, and I will help you to be a good parent or to be a good merchant. There are many theme in the indoor palyground. For example jungle theme , ocean theme , candy theme and so on. From these themes we will choose the one which is the children most interested. According to the survey, the forest series indoor playgrounds are most popular with children aged between 3 and 15 years old. In fact, children in this age have a great longing for the forest. They think there is a lot of treasure in the forest, and they will find lots of interesting things in the forest. So they like to explore. The kids is too young, parents can't let children to go into the forest. But in some time, if we can't let kids to do somethings that they want to do. When a child is between 3 and 15 years old, they just want to play. So we just find a place that very safe and fun, then just bring them to play. The jungle theme of indoor playground is the best place for kids to go. The play center like a big forest that is worth for kids to explore. There are many play equipments in there, such as slides, trampoline, swing, boxing and so on. So it is good choice for kids to go to the jungle theme of indoor playground.